Game 1: Toronto at Cleveland Friday, October 14 at 8:00 p.m.
Game 2: Toronto at Cleveland Saturday, October 15 at 4:00 p.m.
Game 3: Cleveland at Toronto Monday, October 17 at 8:00 p.m.
Game 4: Cleveland at Toronto Tuesday, October 18 at 4:00 p.m.
After a dominating sweep of the Boston Red Sox, the Cleveland Indians are back in the American League Championship Series for the first time since 2007. The Tribe open up the LCS against the hard hitting Toronto Blue Jays tonight at Progressive Field. Cleveland came into the American League Division Series as underdogs to a Boston team that led the league in runs scored during the regular season, but that didn’t seem to matter to the Indians. Cleveland’s pitching rotation shut down the explosive Red Sox allowing only 7 hits from Boston’s “Big 4,” (David Ortiz, Jackie Bradley Jr., Mookie Betts, and Hanley Ramirez). Trevor Bauer and Josh Tomlin stepped up with big performances in Games 1 and 3, while Corey Kluber pitched like the ace he is after battling a mild quad strain during the final week of the regular season. Cleveland’s bullpen proved to be crucial in Game 1 after manager Terry Francona made the brilliant decision to go to both Andrew Miller and Cody Allen early to carry the team to a win. The Tribe’s pen stepped up once again and weathered the storm of a late offensive attack by Boston in Game 3 to punch their ticket to the ALCS. On the offensive side of the diamond, the Indians were carried by the bottom half of their order throughout the series. Roberto Perez, Lonnie Chisenhall, and Coco Crisp all hit home runs while solidifying the theme of this year’s team: any player can step up on any given night. The Indians will once again have their hands full with another top offensive team in the Blue Jays. Toronto is peaking at the right time and if any pitching staff could answer the call it would be Cleveland’s dominate staff. The matchup to watch for in this series is between Cleveland’s bullpen and Toronto’s sluggers. The heart of the Blue Jays batting order features reigning American League MVP, Josh Donaldson, Edwin Encarnacion, and Jose Bautista. All three players have been on a tear so far this postseason and they look to keep their hot streak alive against the Indians. Encarnacion was the hero of Toronto’s Wild Card win against the Baltimore Orioles with a three-run walk off homer. He went on to hit two more home runs in the ALDS and has a .375 batting average through four postseason games. Donaldson leads Toronto with a .500 batting average and five doubles including the one that put him on base to scoring the series clinching run against the Texas Rangers in Game 3 of the ALDS. Joey Bats rounds out Toronto’s powerful trio with two home runs and 5 RBI’s. Cleveland has a tough challenge ahead, but they have the pitching staff to counter the Blue Jays potent offense. Indians relievers Andrew Miller, Dan Otero, Bryan Shaw, and Cody Allen allowed just 2 runs in 10 and 1/3 innings against the Red Sox in the ALDS. Pitching has been the Tribe’s greatest strength this season, but with the injuries of starters Carlos Carrasco and Danny Salazar the importance of the bullpen has never been bigger. Francona’s decision to go to Miller and Allen early in Game 1 against Boston set the tone for the series. The Indians know they can get seven plus innings from Corey Kluber, but when Trevor Bauer and Josh Tomlin are on the mound the goal is to get at least five solid innings of pitching before the bullpen can come in to finish the game. This is exactly what the Tribe got in the ALDS and the goal remains the same against the Blue Jays. Sometimes the only way to fight fire is with fire and that is what the Indians will do in this series with their bullpen. 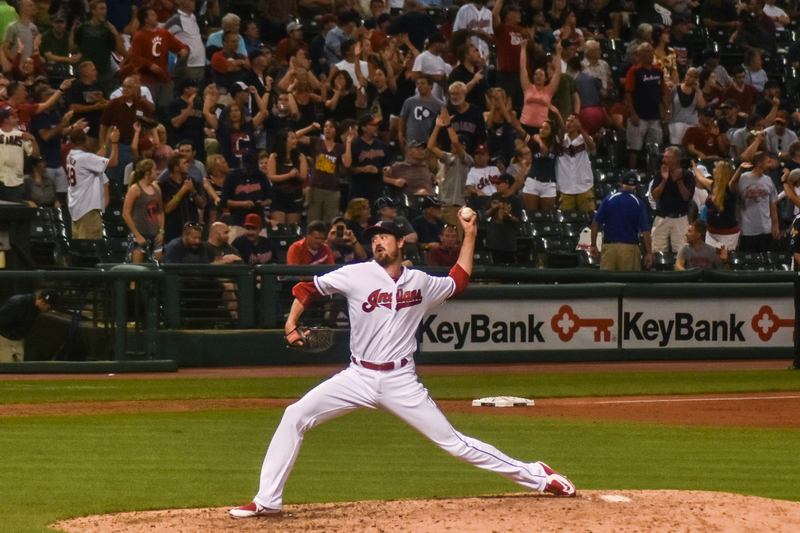 The acquisition of Andrew Miller at the trade deadline solidified the Indians as championship contenders and since his debut he has been their biggest weapon. Miller shut down Boston’s high powered offense allowing just two hits with seven strike outs in four innings. I expect Miller to be the neutralizer once again against another offensive juggernaut. This year’s ALCS matchup marks the second time a Cleveland team and a Toronto team have faced off in a league semi-final this year. The Cavaliers defeated the Toronto Raptors in six games in the Eastern Conference Finals in May. This is the first time NBA and MLB teams from the same city will meet in a league semifinal in the same year since 1969 when the LCS was established in baseball. 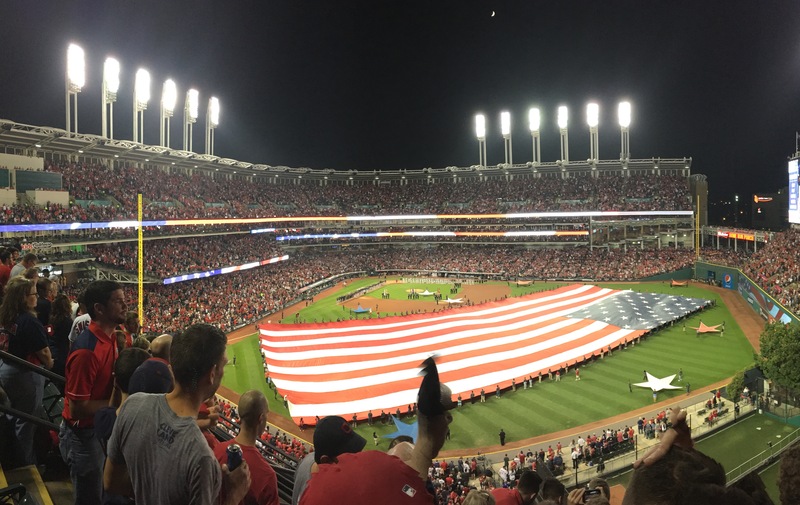 The Cleveland Indians will win the ALCS in six games. There will be no sweep this time as the Indians have a large task at hand against the Blue Jays. The Indians have had no problem producing runs so far this postseason thanks to contributions from the bottom half of their order. I expect sluggers Mike Napoli and Carlos Santana to join in on the scoring this series. Toronto has great starting rotation with Marco Estrada, J.A. Haap, and Marcus Stroman, but they lack the bullpen depth that Cleveland has. With the uncertainty of reliever, Francisco Liriano’s avabaility for the ALCS, the Blue Jays may rely heavily Jason Grilli and closer, Roberto Osuna, which can work to the Indians advantage. To me this series comes down to Toronto’s offense against Cleveland’s bullpen. If the Tribe’s relievers can successfully shutdown and contain the Blue Jays sluggers the Indians will have a great shot at reaching their first World Series since 1997.